The 2019 Union Force Men's Snowboard Bindings are a force to be reckoned with, designed for those hard charging all mountain/freestyle boarders who need a binding as versatile as their riding. Built with an extruded 3D Aluminum heel cup you can guarantee that you won't be cracking or breaking your heel cup no matter what you throw at it. 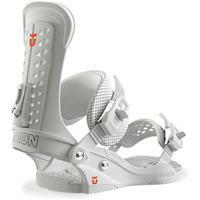 Union backs their bindings with a lifetime warranty because they know that these snowboard bindings are built to last. The Classic Pro Ankle straps provide some of the best in comfort, while the Ultragrip Toe Straps will ensure that you're locked down without any pressure points. Forget the days of a broken ratchet ruining your day or taking money from your wallet with Union's Magnesium Ratchets they are going to stay intact and working all winter long. This medium-stiff binding comes in at a 7/10 flex which makes it responsive with a little bit of forgiveness. Ridden by all-around rail destroyer Dan Brisse so you know that these snowboard bindings can take a beating. 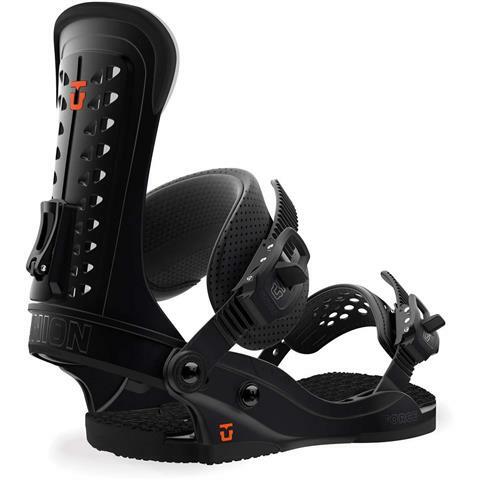 If you're in the market for a strong yet comfortable binding that will never let you down, then look no further than the 2019 Union Force Men's Snowboard Bindings. Union makes great products and this is no exception. 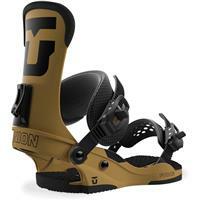 The quality is great and the bindings are very comfortable. These are definitely a stiffer binding so if that is your preference I would recommend this for you. Unions got some great ideas, this is one. Strong highback for great response on turns. All around Unions workhorse binding. Comfy straps to help balance the rest of the binding too!